What information does The Jewelry Group collect? How does The Jewelry Group use this information? Does The Jewelry Group disclose your information to others? How does The Jewelry Group protect the security of your information? What are your choices to opt out of tracking features? How does The Jewelry Group protect a child’s privacy? Does Thejewelrygroup.com have links to other web sites? How do you contact The Jewelry Group? The Jewelry Group may collect and store two types of information: “personal information” and “automatic information”. Personal information tells us who you are, such as, your name, gender, mailing address, email address, telephone number, date of birth or age, any personal preferences you choose to provide and any assigned password used to protect your privacy. The Jewelry Group may from time to time collect personal information from you when you communicate with The Jewelry Group through email, or in writing, or when you communicate with us by clicking on the “Contact Us” hypertext link found on the bottom of the Site’s web pages, completing the information requested including a first name, last name and email address, and clicking “Submit” or “Send”. We may also collect information about you from our Affiliated Brands (as described below) with whom you may have shared personal information. We also reserve the right to obtain publicly accessible customer demographics and information about you from commercially available sources. Automatic information is information that we may collect automatically whenever you interact with this website such as your IP address, the type of computer you use, the web browser you use, the web page that linked you to our Site and the way you navigated our website and the products you viewed. An IP address is a number assigned to your computer when you connect to the Internet. Each time you visit this website, our web server may automatically recognize and collect this information. Automatic information also includes information generated by the use of “cookies” and “web beacons” (also known as “pixel tags”). “Web beacons”, also known as “pixel tags”, “clear GIFs” or “single-pixel GIFs”, or similar technologies, are small image files that we may place on web pages. Working in conjunction with cookies, web beacons allow us to accurately count the number of unique users who have visited a specific page and the number of times those pages are displayed. We may also use third party internet analytics firms, such as Google Analytics, Adobe Analytics and others, to place cookies and pixel tags on your computer or browser when you visit our website. These third parties collect automatic information to track and analyze usage and volume statistical information regarding your visits to our website, such as what you browsed, what web page linked you to our site and what traffic is driven by banner ads and e-mails. To learn more about Google Analytics and how to opt out of such services, please visit Google Marketing Platform. To learn more about Adobe Analytics and how to opt out, please visit Adobe Experience Cloud Privacy. We reserve the right to associate automatic information with your personal information in the event we collect personal information from you. In the event of such association, such automatic information would be considered personal information. The Jewelry Group uses this information to enhance your experience with us and the brands featured on our Site, and to improve the design, content, effectiveness and security of our website and our business activities. We also may use your personal information to contact you in order to respond to your inquiries submitted to us through email, or in writing, or when you communicate with us by clicking on the “Contact Us” hypertext link found on the bottom of the Site’s web pages and submitting the requested information. The Jewelry Group also may use your information to communicate with you via postal pieces or personalized emails about products, business opportunities, offers and promotions that may be of interest to you. We may use automatic information to evaluate and improve the design of the Site. For example, cookies enable us to personalize your experience by helping us track and maintain information about your use of our website, including where you travel on the Site and what you look at, and they help us recognize you when you visit the Site again. Cookies also enable us to identify the website you visited immediately before visiting the Site. We use non-personally identifiable aggregate information to help us run and maintain the Site, study traffic patterns and generally learn about the usage of the Site. We may also use such information for purposes of system administration, to improve the design, navigability and content of the Site, and/or to enable us to personalize your Internet experience. We reserve the right to use this information to deliver targeted online advertising to you regarding products or services that may be of interest to you. We reserve the right to share the information that The Jewelry Group collects with the company-owned and affiliated brands of Nine West Holdings, Inc. (the “Affiliated Brands”). Some of the Affiliated Brands include Anne Klein, Bandolino, Nine West, Nine West Vintage America Collection, Easy Spirit, Judith Jack, Napier, Lonna & Lilly, Gloria Vanderbilt and Kasper. We may disclose personal information about you to third parties who provide services to us. These third parties may provide a variety of services to us including, without limitation, hosting and managing our website and assisting us in responding to user inquiries. We may also use third party vendors to assist us in better understanding how people use our site, including measuring the effectiveness of our advertising. Our vendors may place cookies and tags on your computer when you visit our Site to collect information such as the IP addresses of your computer, the state and zip code from which you come, which search engine referred you to our Site, how you navigated around our Site, and what you browsed. We may use and/or disclose to others information about your demographics and use of our website in a manner that does not reveal your identity. We may also match and use information collected from you at our website with information obtained collected from other sources or third parties. We may disclose personal information in special cases when we have reason to believe that disclosing this information is necessary to identify, contact, or bring legal action against someone who may have breached our Terms and Conditions of Use or who may be causing injury to or interference with (either intentionally or unintentionally) our rights or property, other users of our website, or anyone else who could be harmed by such activities. Unfortunately, information transmitted on the Internet and/or stored on systems connected to the Internet is not 100% secure. As a result, we cannot ensure, warrant or guarantee the security or integrity of such information. The Jewelry Group will honor requests to unsubscribe from receipt of promotional emails from The Jewelry Group about The Jewelry Group, and also for emails about The Jewelry Group that we permit our Affiliated Brands or other companies to send to their own list of subscribers. Please note that you may continue to receive emails from The Jewelry Group until such requests become effective. If you wish to unsubscribe from receipt of promotional emails from any Affiliated Brand or licensed brand featured on Thejewelrygroup.com website, you must send a request directly to that Affiliated Brand or licensed brand. How Does The Jewelry Group Respond to a Do Not Track Signal? While this site is a general audience website, we do not intentionally collect personally identifiable information from children under the age of thirteen (13). If we become aware that we have collected personally identifiable information from a user of the site who is under the age of thirteen (13), we will remove that child’s personal information from our files. Does Thejewelrygroup.com contain links to other websites?  Thejewelrygroup.com website at present is hosted on servers located in the United States, although we reserve the right to host the website on servers located in other countries. By using this website, you consent to any personal information that may be collected by us being transferred to, and being stored and handled in, countries (including the United States) that may be outside of your country of residence‚ and which may have different data protection rules than in your country of residence. ​How Do You Contact The Jewelry Group?